This is Jim Mack and I want to tell you a true story. When he lost his search rankings he was worried. He had employees and some debt. He lost sleep and his family suffered too. And he did what a lot of businesses do…he looked for alternatives. He tried to get ranked in BING/Yahoo but it wasn’t working out any better and He knew even if he cracked their first page, the traffic would not even compare to Google. So, he started spending ‘real’ money in the local newspapers. 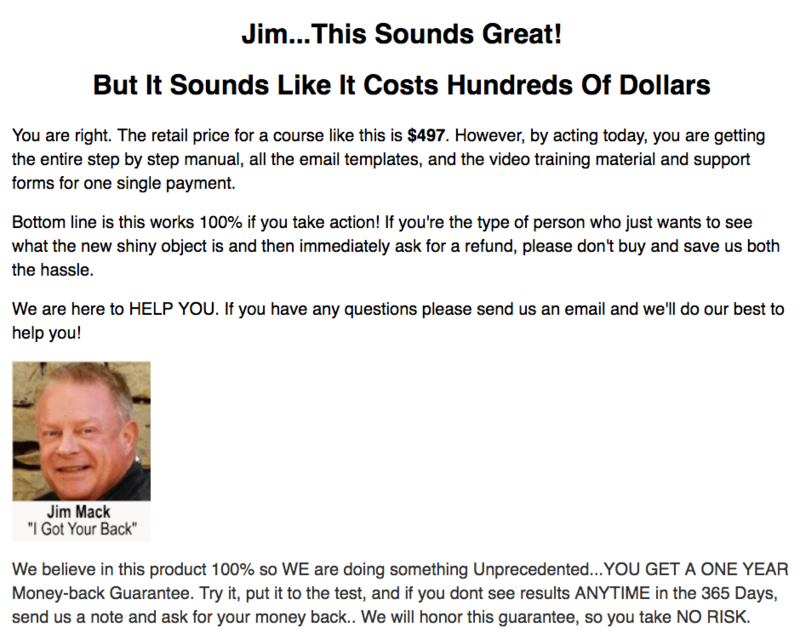 Before, he had always bought a SERVICE DIRECTORY ad weekly, but now he jumped his spend up to $400 a week.…every week. And he bought a quarter page ad in a local mini-yellow pages. $1200. and he bought more ads anywhere he thought he could get leads and he started advertising for a phone solicitor, offering to sell/install spas and hot tubs. 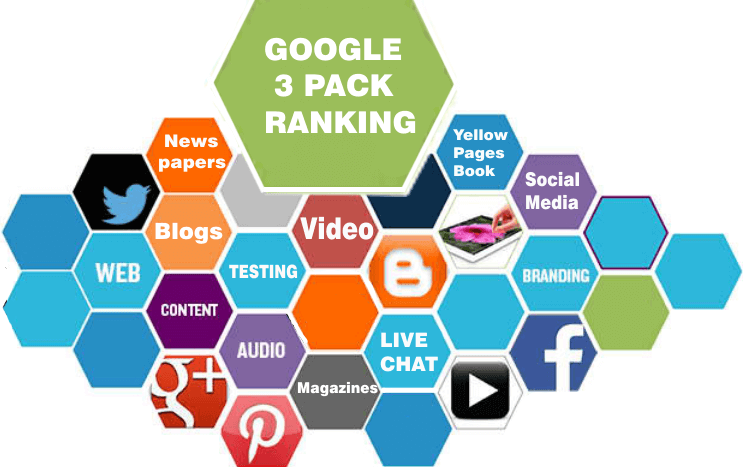 The money and time to set all this up was a serious investment…when all he really wanted was to get on the first page of Google and be in the 3-Pack. About 4 weeks later, I called him and reported the results. I said, “Al, type in your keywords and see where you’re ranked.” I’ll wait. He came back and was excited. In the months that followed, like submerged craft rising to the surface, he continued to improve in rankings and calls. There would still be some touchy times, but he had confidence in me and I had confidence in the system I’m going to share with you. Oh, by the way, he pays well for being ranked in the Google 3-pack and I never have to chase him for the fees, since he remembers what it was like before. Google is focusing more on the Mobile user experience, the 7 Pack, shown below, was too large to fit onto one page on mobile devices. On the other hand, the new 3 Pack, shown below, is just enough to function as the first page in a SERP for someone doing a local search on a smartphone. Google claims that the last four results in the 7 pack weren’t getting much traffic. This is one of the reasons why Google reduced the featured listings to 3. 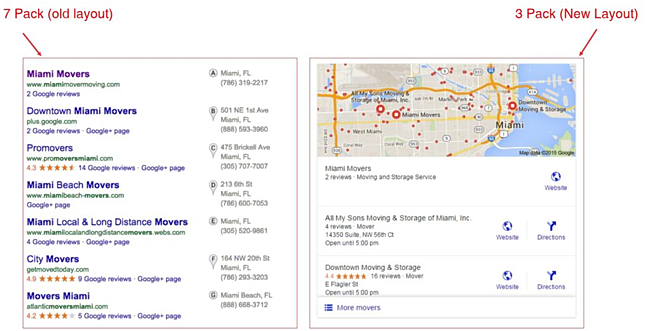 The SERPs still tend to display star ratings from reviews on G+ pages, and being active on local search directories is still one of the ranking factors that google’s algorithm weighs. Let’s quit pretending results don’t matter to clients. They do. Absolutely. 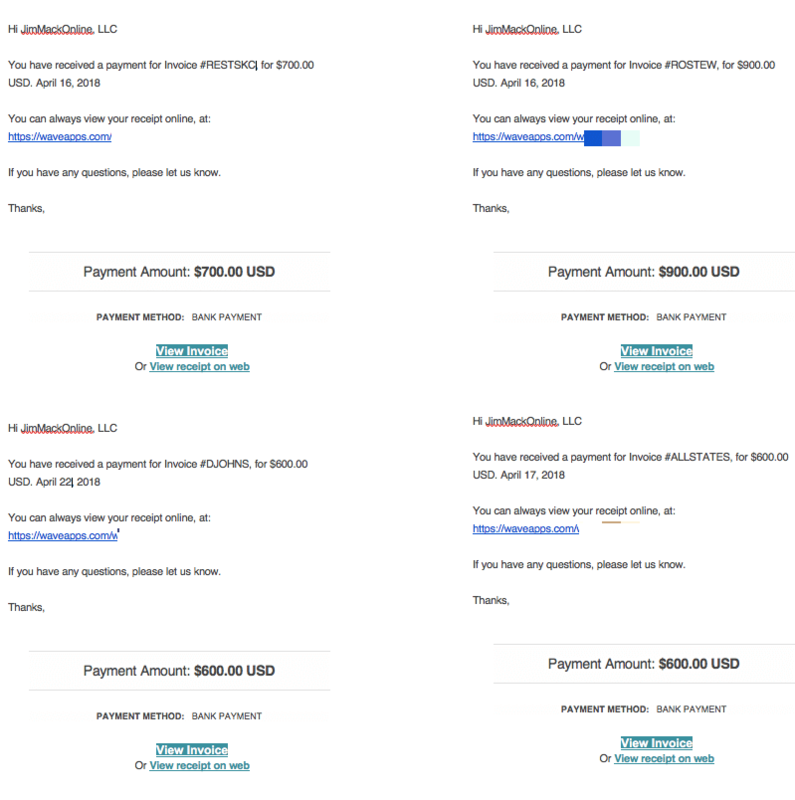 The results you get for them go a long way to assure you will continue to get paid….and how much you get paid. Makes sense, but the the answer isn’t to promise less, its to build a marketing machine that delivers more. 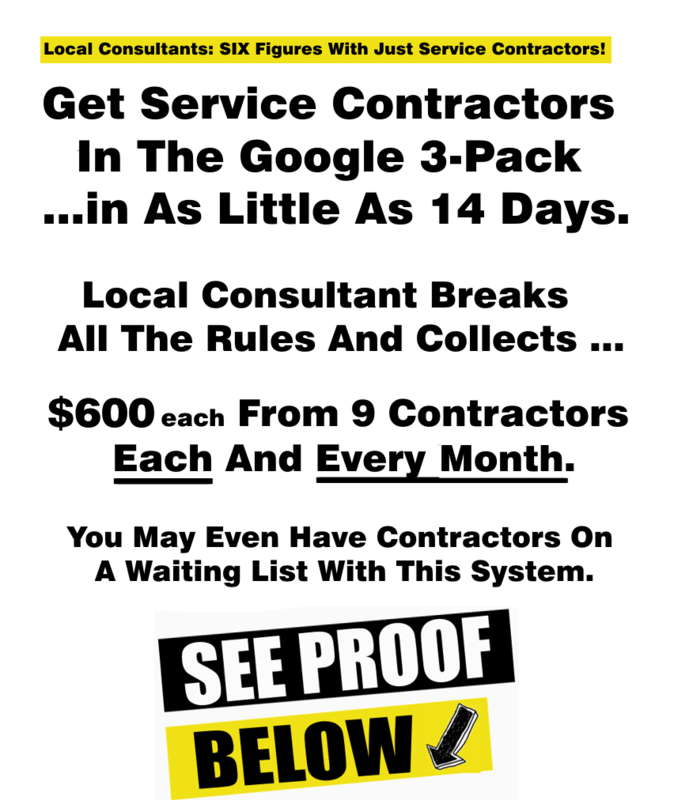 This one skill and system designed to get service contractors in the Google 3 Pack is worth ‘gold’ to any client. Finally, you will have the confidence to make a bolder and better promise, snce you’ll know you can deliver. The secret why CONTINUITY Income is so important. You think you know, but you don’t. Tricks to scale up your business much quicker by setting the right (attainable) goals. 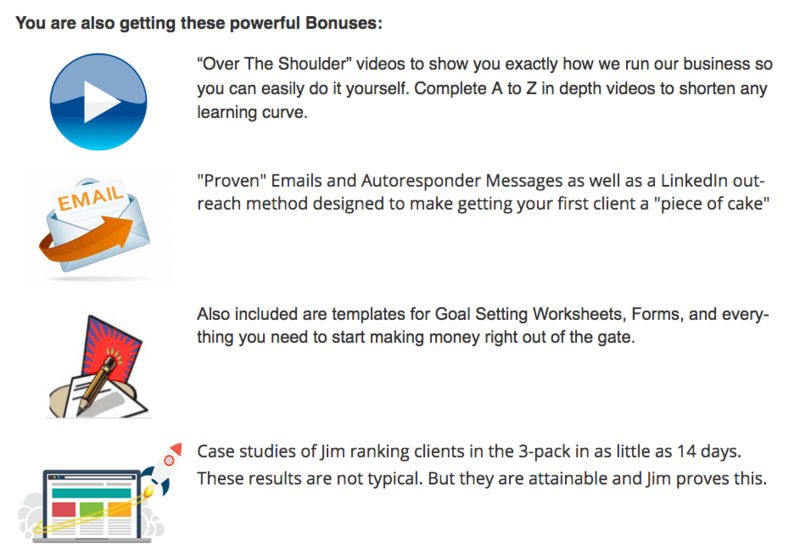 Jim’s persuasion tricks for closing more Service Contractors faster with less resistance. But Each Position Is Worth Even More! 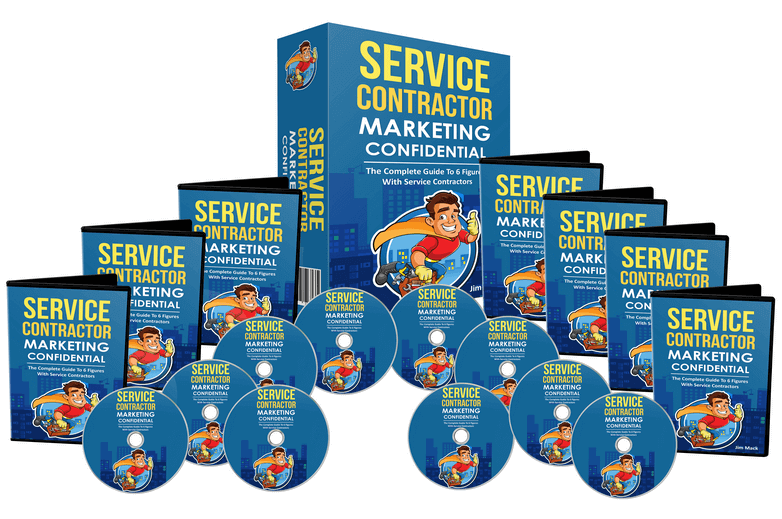 The opportunity for service contractors to get on page one in the 3 pack is better than ever. Q: Is this just a re-hash of previous courses? A: No, This new course is different…because I’m teaching how to rank contractors in the 3-pack of Google. 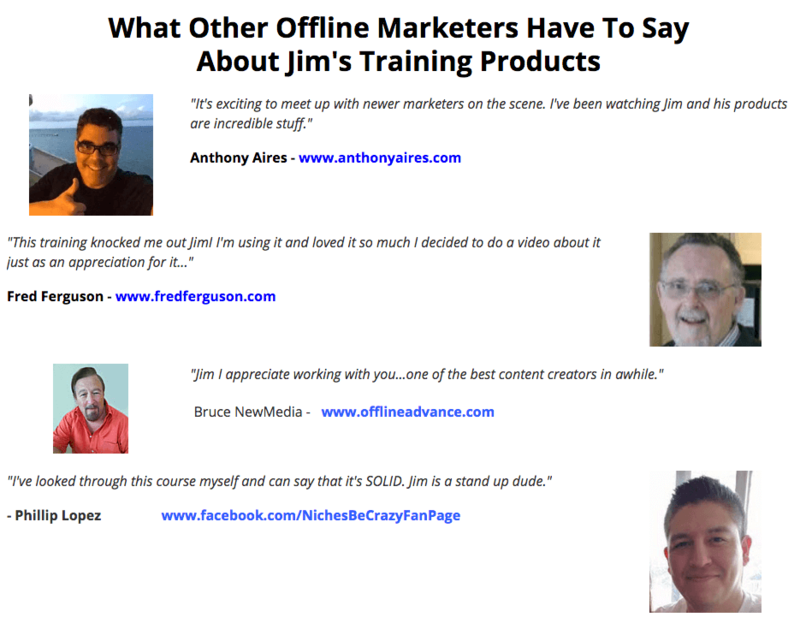 It is my most comprehensive course yet! AND, how to get that first client and move on to bigger paydays. Q: Why would a contractor need my help? A: It might surprise you to know that many contractors are not the best marketers. I know, surprising. 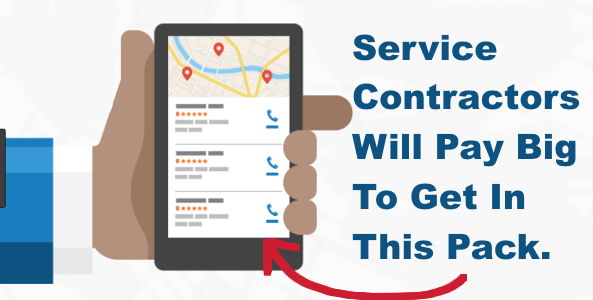 Many contractors use their cell phone as their business phone. This allows us at consultants to market and prospect much easier. A: Each client initially takes about 2-3 hours to setup. Then maybe 30 minutes per month to manage. Extra projects will, of course, take longer. A: No. You can do this with no money, just your own time and effort. A little money for an outsourcer will make it go faster, but its not necessary. You will get paid before you ever have to spend any money. A: Nope. and thats because well show you exactly how to implement this system. Its proven to work and thats what you’ll be offering. A: NO (Unless YOU Want Them) —If you choose to use virtual assistants or outsource thats fine. A: In my expericne, no. While other marketers know about contractors of course, they approach them in a clumsy and high pressure way. I’m teaching more methods of ‘attraction’. 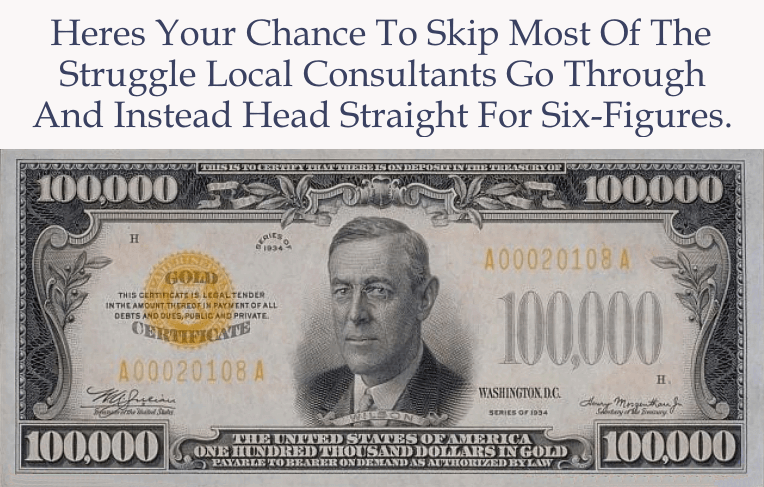 A: Simple… I actually make my earnings from local clients, not from product launches and you. I do enjoy helping marketers and dont see the need to get ruch off of you. A: This entire business is totally location independent and can be done entirely by email and phone. 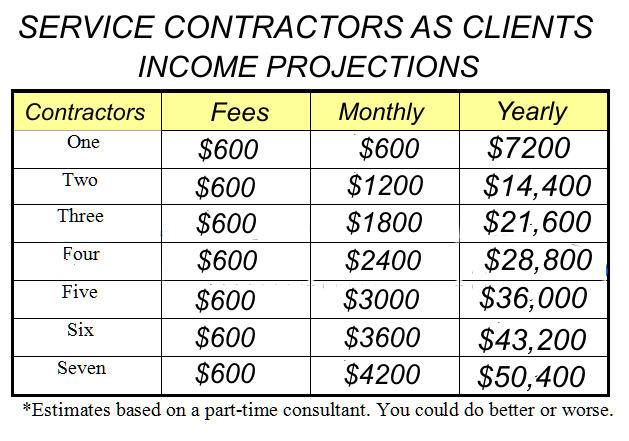 Q: How long will it take to get 10 contractor clients? A: If you take action it can be achieved in 90 days. In the blink of an eye you will be solving a problem for a Contractor who is gladly going to pay you. In this course I completely pull open the curtain to make this easy to do and understand. I wanted it to be as close to copy and paste as possible. This way you have a complete road map to success. I know how hard it is to make money from home. I have removed the barriers to your success…The Rest Is Up To You! With no tedious studying required. No years of perfecting boring techniques that are useless in the real offline world. This works, as they say, “Right Out Of The Box”. 4 Easy Methods From Joe's Highly Effective " Rich Cleaner System" That Could Have Your Arrange Scheduled SOLID Within A Week. This Is Your Ultimate Solution To Getting More Jobs, Extra Customers, And Higher Prices!